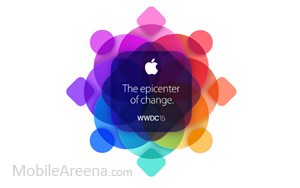 Apple has today announced that WWDC, its World Wide Developer Conference, will take begin on June 8 this year. The show will be its 26th developer-focused even and will run for four days, June 8 through June 12 at Moscone West in San Francisco. Tickets are available via Apple’s WWDC website from now until Friday April 17. Apple said they would be issued “through a random selection process,” and that lucky (and unlucky) applicants will know the status of their tickets by April 20. Of course, if you’re not successful in getting a ticket – demand is always insanely high – then many of the workshops, keynotes and other 100 sessions will be live streamed, so you can watch along online at least. Apple is currently taking registrations through Friday, April 17 at 10 am PST (1 pm EDT). Like last year, after registration closes, Apple will hold a random drawing to assign tickets. Developers will be informed by Monday, April 20 at 5 pm PDT (8 pm EDT). Their credit or debit card will automatically be charged $1,599 at that time. The WWDC keynote, held Monday at 10am PT, 1pm ET, where Apple will typically provide the first preview of the company's next generation operating system and services. This year that would include iOS 9 'Monarch' and OS X 10.11 'Gala'. There are also rumors that Apple could reveal a new versions of its Apple TV set-top box, as well as a new music service. We will try to bring more than enough coverage of our usual routine, color, and analysis throughout the week.